Cloverfield Clues: Do You Speak Japanese? Do you speak/read Japanese? Would like like some free Cloverfield stuff? 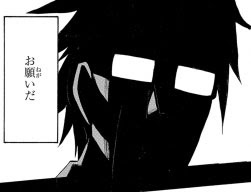 I'm looking for several people to help translate the upcoming fourth and final Cloverfield Kishin manga, which should be out any day now. The more people we can get to help, the quicker and easier it will be. I'll help out as much as I can with screenshots, retyping the pages, and dividing up the work - you just need to provide the translation! Send me an email at translate@cloverfieldclues.com if you can help even just a little bit. Thanks!